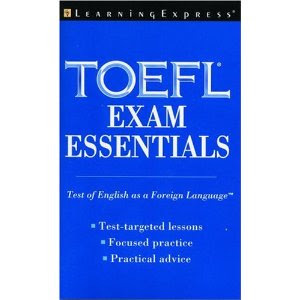 This essential guide to the TOEFL (Test of English as a Foreign Language) exam is perfect for studying on the go and tackling the exact kinds of questions tested on your upcoming official exam. Information is presented in an easy-to-follow, straightforward manner so you can find what you need, learn the information, and move on. Each chapter covers the essential facts and practice you need to get prepared for your exam, as well as tips on where to go to for more detailed practice and further information. Whether you need to review all parts of the TOEFL exam or just skip ahead to the sections where you need extra practice and review, TOEFL Exam Essentials has just what you need for focused, targeted practice.